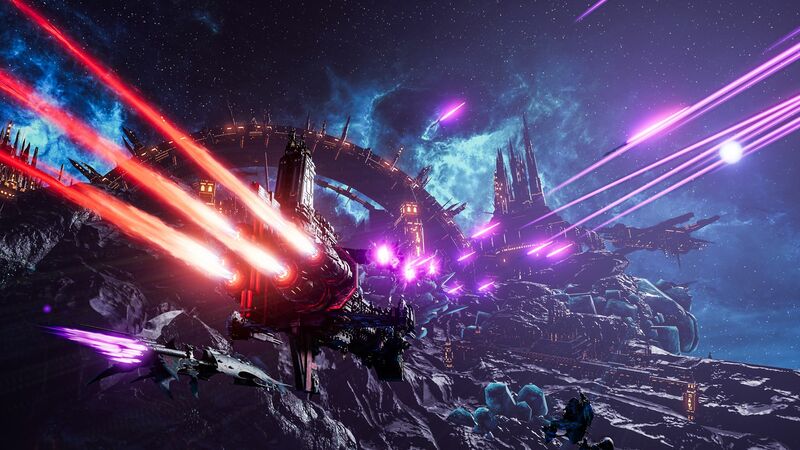 Ben Barrett, Creative Producer at Focus Home Interactive, and Romain Clavier, Game Director at Tindalos Interactive, teamed up for livestream to show off Battlefleet Gothic: Armada 2’s gameplay. The hour long stream will walk players through the Imperium grand campaign. It covers fleet management, system defense, ship building, and battlecruiser invasions. 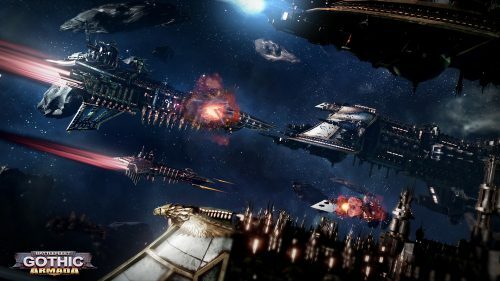 Battlefleet Gothic: Armada 2 is based on the classic Warhammer 40,000 board game. It features all 12 factions from the board game and three solo campaigns featuring the Imperium, the Necrons, and the Tyranids. This is the first video game featuring the new Warhammer 40,000 Gathering Storm setting. Battlefleet Gothic: Armada 2 is scheduled to launch on Steam on January 24th. Pre-orders will get 10% off the game plus instant access to the closed beta. Additionally, owners of the first game will get an additional 15% off, for a total of 25% off the final price.